Now in its 22nd year, this prestigious prize is awarded annually by the Deutsche Börse Photography Foundation in conjunction with The Photographer’s Gallery. Nominees need to have made significant contributions to the medium over the past year within Europe. Originally known as the Citigroup Photography Prize or Citibank Private Bank Photography Prize, it was renamed as such from 2005 onward when Deutsche Borse began to sponsor the competition and award the winner a £30,000 prize. The title went through one final change to include ‘Foundation’ in 2016 to "to reflect its new position within the Deutsche Börse Photography Foundation, a specifically established non-profit organisation focused on the collecting, exhibiting and promoting of contemporary photography.” (The Photographers' Gallery 2017). Since its formation, the prize has been awarded to now renowned names such as Richard Billingham (the very first winner), Andreas Gursky, Rineke Dijkstra, Anna Gaskell, Boris Mikhailov, Shirana Shahbazi, Robert Adams, Walid Raad, Sophie Ristelhueber, Jim Goldberg and John Stezaker. Those shortlisted are just as celebrated and enjoy the exposure this competition exhibition offers. These include Uta Barth, Hiroshi Sugimoto, Hannah Starkey, Stephen Shore, Yto Barrada, Fazal Sheikh, Anna Fox, Thomas Demand, Rinko Kawauchi, Mishka Henner and Sophie Calle. This years nominees do not fall short of the same high standard: Laia Abril for the publication On Abortion (Dewi Lewis Publishing, November 2017); Susan Meiselas for the exhibition Mediations (Jeu de Paume, Paris, 6 February – 30 May 2018); Arwed Messmer for the exhibition RAF – No Evidence / Kein Beweis (ZEPHYR|Raum für Fotografie, Mannheim, 9 September – 5 November 2017) and Mark Ruwedel for the exhibition Artist and Society: Mark Ruwedel (16 February – 16 December 2018 at Tate Modern, London). The Jury comprises of Sunil Gupta, artist, writer, activist and curator; Diane Dufour, Director of Le Bal, Paris; Felix Hoffmann, Chief Curator at C/O Berlin; Anne-Marie Beckmann, Director, Deutsche Börse Photography Foundation, Frankfurt and Brett Rogers, Director, The Photographers' Gallery, London, as the non-voting chair. This year’s prize is less about the best photographs, whatever that might mean, and more focused on research and documentation, and compilation and presentation. “Collectively their projects explore state and gender politics, social injustice, human rights and conceptual approaches to image making." Starting on the 5th floor is German photographer and artist Arwed Messmer, nominated for his project ‘RAF - No Evidence / Kein Beweis’. 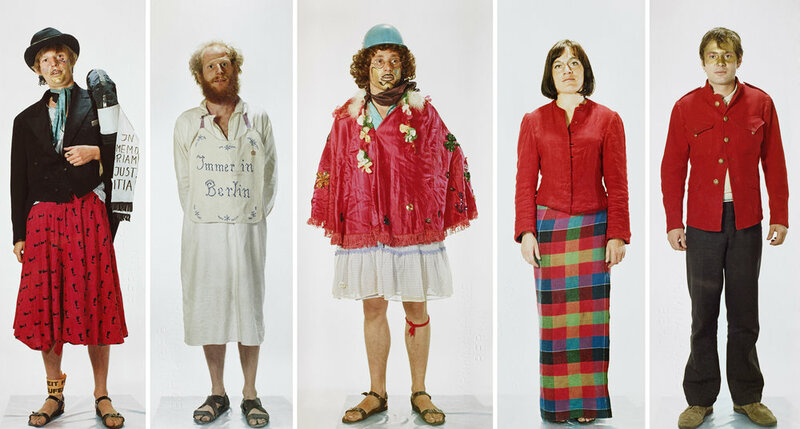 This body of work is completed in his signature style; focusing primarily on posing questions about photography using imagery of historical events from German state archives and specifically focusing on the ‘Red Army Faction (RAF) or ‘Baarder-Meinhof Group’ from the 1960s and 70s. This far left extremist organisation engaged in various terrorist attacks with events widely documented by police. Messmer’s hones in on the events from 1967 to 1977 which span student protests, police reenactments and forensic and documentary photographs, all to ‘examine how images once used as evidence in criminal cases can now provide a unique insight into our understanding of history’. Susan Meiselas occupies the adjoining space with her long-term and extensive project ‘Mediations’ of which she has selected ‘Kurdistan/akaKurdistan’ for her prize consideration. Started in the 1990s and after seeing the exhumations of mass graves in Iraqi Kurdistan following Saddam Hussein’s genocide Anfal campaign (1987-88), the photography here shows Meiselas’ documentation of the aftermath; capturing graves, archeological excavations and individual survivors. This body of work has become an archive still active today (as website akaKurdistan.com), gathering visual evidence in the form of documents, family albums, maps and most importantly, personal stories. Examples of such collected visual evidence is on display here in museum display tables as maps, documents and family albums, as well as an entire wall dedicated to personal accounts of people within the Kurdistan borders and across the diaspora. The fourth floor holds work from Laia Abril’s publication ‘On Abortion’, a visually comprehensive project about abortion; from its disturbing past to its still politically disturbing consideration today. As the first chapter of Abril’s long-term project, A History of Misogyny, this exhibition not only traces the history of abortion, but also brings to light “the repercussions of not having access to abortion in the world”. Like many of Abril’s ongoing projects, this too conveys her tendencies of trying to visualise what is invisible because it is illegal, hidden, or an event of the past. Intimate portraits, photographs of early contraceptive devices, personal accounts of those who have lived through the procedure as well as ‘incendiary, hate-filled quotes from outspoken opposers to abortion rights’ cover these gallery walls in hope of inviting viewers to actively learn and form opinions on the topic. Prominent to the exhibit is its central attraction; a solitary chair facing a television looping pointed anti-abortion speech from various outspoken male antiabortionists (including current US president Donald Trump). 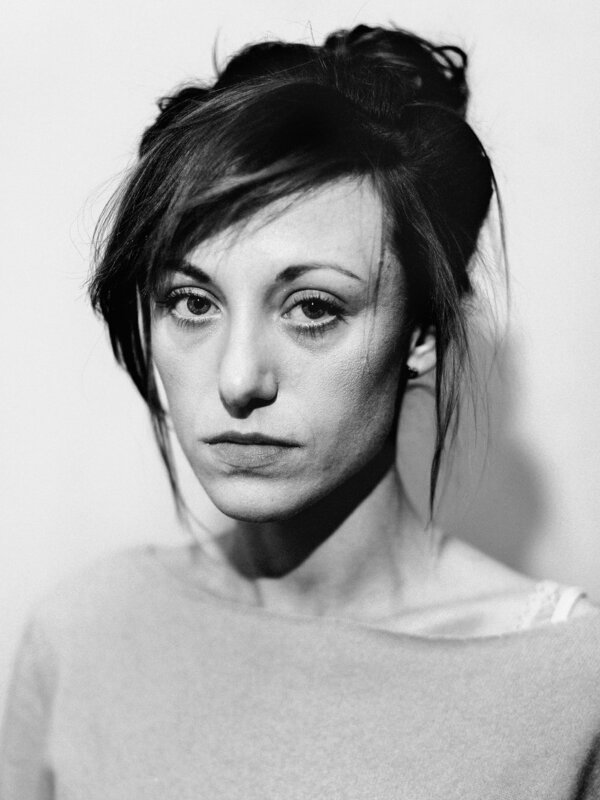 The final photographer shortlisted is Mark Ruwedel. 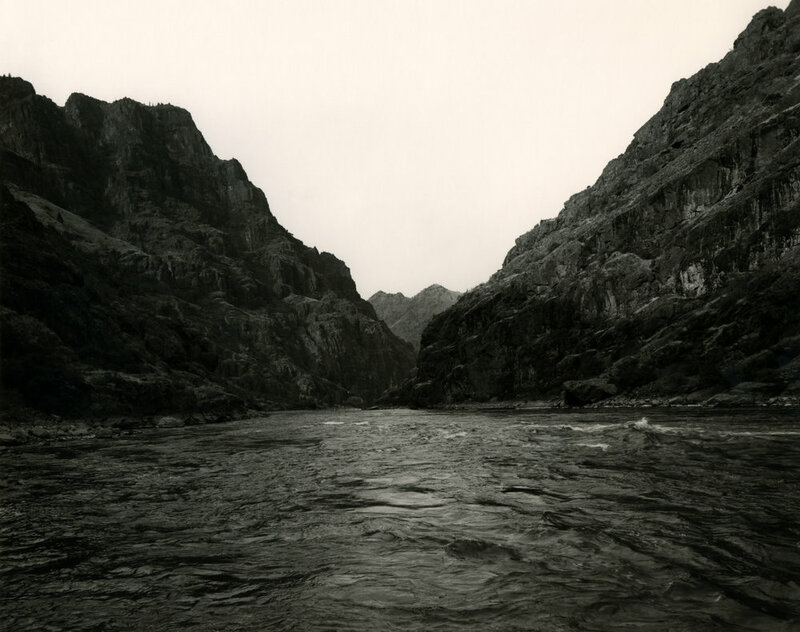 His work on display spans the past four decades, exploring the impact that geological, historic and political events have had on the North American terrain. Photography from the following projects are on display: ‘Dusk’, showing empty desert homes under the twilight sky; ‘Pictures from Hell’, depicting awe-inspiring landscapes which generations of settlers evocatively named Helltown, Devils Gardens, Hells Hollow or Devils Land; ‘Crater', which shows eerie photographs of nuclear test sites, and his homage to the artist Ed Ruscha -‘We All Loved Ruscha'. Ruwedel recognises that his photography does not always explicitly show the ‘imprint of human activity’. He is more interested in the act of naming, mainly because of the fact that these places used to have indigenous names, aiming to question what this says about ‘dominant European attitudes toward both the land and the people that inhabited it’. With the intent of acknowledging those whose work discerns to “uniquely address and expand the fluency and capabilities of the medium”, this year’s prize can really be awarded to any of the four. All work here, at least in this printers’ opinion, is good work. The latest exhibit at the Wellcome Collection spans both their temporary gallery spaces with an extensive look into our relationship with buildings over the last two centuries. The works on display brings to light the physical and psychological impact our built environment has on us and the innovative ways designs have been altered to achieve maximum wellbeing. That is just half of the exhibition. The upper gallery space is dedicated to an open call architectural submission piece that responds to the urgent and adaptive health care designs being used in remote locations. Here we see architects Rogers Stirk Harbour + Partners (RSHP) and engineers BuroHappold and Chapman (BDSP) work with Doctors of the World to create 1:1 scale structures that can be easily transported and set up in any given scenario, with strong and sturdy capabilities and use of waterproof materials stretched over them for shelter and much lacking private space that such current conditions cannot provide. Living with Buildings, like other Wellcome Collection exhibitions, draws together science and art to explore our relationship with our constructed world. Starting with London’s slums from the end of the 19th century with a draft preface for Oliver Twist by Charles Dickens, in which he declared that “nothing effectual can be done for the elevation of the poor in England, until their dwelling places are made decent and wholesome”, we see the concern with living conditions already being drawn on by creative minds of the time. And the exhibition continues as such, with special commissioned pieces by Giles Round, whose work here explores colour and light and their role on health; Joe Kerr, who invites the public to timed/self guided tours “through the radical histories of Somers Town and King’s Cross”; and Ian Sincalir’s book ‘Living with Buildings and Walking with Ghosts’ which is published by Wellcome Collection and explores the relationship between sickness and structure. There is a remarkable collection from RIBA (Royal Institute of British Architects) scattered around and one that really stood out was Ernö Goldfinger’s design propositions and eventual construction of Balfron Tower. This was designed in 60’s brutalist characteristics with a few distinguishing key elements in mind such as placing waste disposal areas separate from living areas, connected with a bridge, and the notion of bringing high rise style of homes to Britain placed in green environments. Goldfinger transferred this architectural style onto his later Trellick Tower. 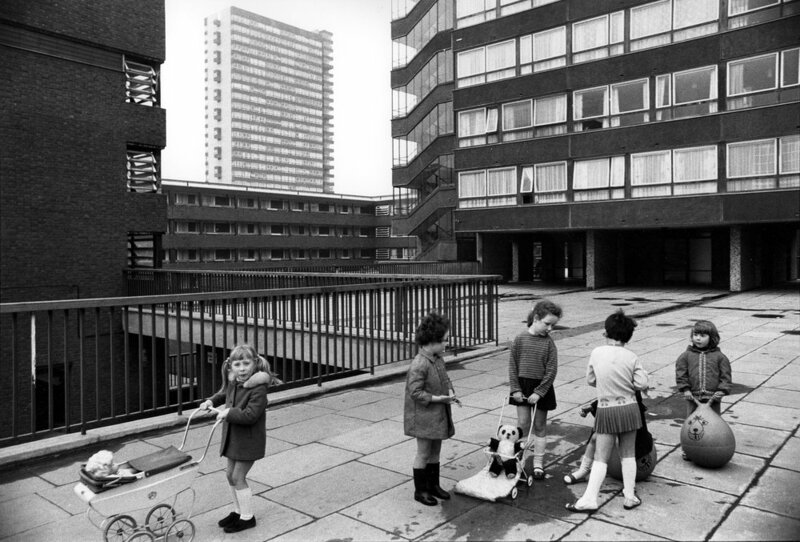 What is most curious about Goldfinger and Balfron was probably his decision to move into the completed building that he designed and live among its inhabitants. And of course, Andreas Gursky’s Paris ‘Paris Montparnasse’ makes an appearance in this exhibit about buildings. Constructed as a large scale photograph in 1993 of a high-density apartment building, this 2.1 x 4 metre piece allows details of people’s homes to be clearly portrayed up close by the viewer to ultimately be overwhelmed by the close living quarters of the inhabitants when contemplated from further back. This work visually communicates the realities of urban living. The first floor gallery space above explores the project Global Clinic created in response to Wellcome Collection collaborative commission from Rogers Stirk Harbour + Partners and BuroHappold and ChapmanBDSP to aid Doctors of the World, an independent humanitarian charity operating across the globe with emergency care as well as long term training. The simple idea behind the winning design from this open call recognises the current situation of remote health care and has responded with a flexible, robust and easily transportable plywood pieces that connect together to make a basic but sturdy structure in which to safely practise healthcare. The engineering behind cutting the plywood is programmed by a CNC (computer numerical control) which can be adjusted in shape and size to adapt to preferred requirements. An example of this Global Clinic project’s potential is on display in the space with a 1:1 scale model which will be deployed to a location in need by Doctors of the World after the closing of the exhibit. Living with Buildings run until March 3rd and is free to the public, with timed guided tours that alternately highlight parts of the exhibit. Works on display also feature that of Rachael Whiteread, Marther Rosler and Cathrine Yass. In addition, particular case studies are presented on hospital design and wellbeing as well as a look into the recent architectural flaws behind the Grenfell Tower fire. The Wellcome Collection is a free museum with the self appointed motto of being the museum for the “incurably curious”. It encourages learning and challenging human health through events, exhibitions and its vast collection acquired by Sir Henry Wellcome, which amounted to some 125,000 medically related objects and artefacts by the time he died in 1936. His legacy has had a very successful history starting from the formation of a charity as his last will. Through this Wellcome Trust, research has been amongst the leading in the world.